In your imagination, you’ve been there so many times. Once visions of the Last Frontier start dancing in your head, there’s no denying that longing in your soul. If you have any doubts about those dreams tugging on your sleeve, here are 10 sure signs that you really need to plan a trip to Alaska soon. You Count Trout Instead of Sheep – When life gets too busy, getting to sleep at night takes a little help. 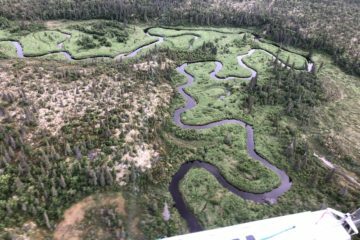 When you start counting rainbow trout instead of sheep, it’s time to head north. Those torpedo-shaped beauties and their brilliant colors are the fish that angling fantasies are made of. Nothing compares to the majesty of a wild rainbow flying out of the water on the end of your line. The Grid Is Officially a Grind – You’re always plugged in and powered up. Even a day off surrenders to the sound of your smartphone or taps on a tablet. It all adds up to a form of constant online overload, but you know there’s an escape. Alaska isn’t that far away, and it offers a peace and quiet that drowns out all that digital noise. You don’t have to unplug completely, but you can if you want to. Vacations Are Becoming Routine – When you think about an upcoming getaway, do you realize how often you’ve been there and done that? You need a change in scenery that rates spectacular. Imagine crystal rivers and pristine countryside. Picture landing at a rustic fishing lodge in a de Havilland Beaver and watching stars shoot across the night skies from your cabin deck. There isn’t anything routine about a vacation in the 49th State. The Wilderness Keeps Calling – Close your eyes, and listen. Do you hear the cry of a bald eagle flying overhead? Give in to that call of the wild, and add the sound of rushing water, the rustle of towering spruce and the howl of a lone wolf. It’s all a part of the natural symphony that extends an open invitation to the magic of Alaska’s unspoiled wilderness. It’s an offer that you can’t resist. Dreams of Fresh Salmon Dance on Your Palate – Nothing else compares to that incredibly pure flavor. You know a farm faux fish with the flick of a fork, but cutting into a fresh chinook salmon filet is akin to slicing butter. Regardless of what the menu tells you, your palate knows. That culinary longing for a taste of something deliciously real is a sure sign that you’re overdue making dinner reservations somewhere close to Bristol Bay. You Need a New Frontier – There’s still plenty left to conquer, but it’s hemmed in by office space and city limits. You’re not afraid of new challenges, but they begin to take on a shade of sameness. Variety is a spice that you can find anywhere, but you can only find 660,000 square miles of rugged natural beauty inside Alaska’s state lines. The Last Frontier can be your new frontier, and you don’t have to worry about conquering a thing. The Tackle Box Starts Dropping Hints – It catches your eye as you shift things around in the storage closet. You pull it out, set it on a table, and start to walk away. It’s too late. That trusty tackle box wants to go fishing, and it’s using little-understood psychic powers to coax you both out the door. You can’t ignore fishing gear that speaks this kind of language. It’s guiding you to Anchorage and all points north. Your Nights Need More Light – Does the sun go down with a quiet splash of color? Do you have to squint to make out a few stars overhead? Have you ever wondered what the Aurora borealis looks like? If you answer affirmative to all three, this is a sure indication that your nights need more light. In Alaska, sunsets blaze across the horizon, the Milky Way glitters like diamonds, and the Aurora borealis dances an airborne ballet that you’ll never forget. Cityscapes Morph into Mountain Ranges – This phenomenon often affects individuals who love high country wilderness but keeping putting off plans to make the trip. It’s not a cause for concern unless the condition is neglected for long periods of time. If your lingering gaze on tall office buildings and towering corporate headquarters results in visions of the Kenai Mountains or Mount McKinley, take the next flight to Alaska immediately. The Lure of Fly Fishing Wins – Of all the signs that it’s time to start packing, this one really stands out. Spin fishing is fine, but you know the quiet pride of a flawless cast that depends on just you and the line. Spoons catch fish, but your perfectly placed fly can drop on top of a rainbow and inspire a hit that takes your breath away. 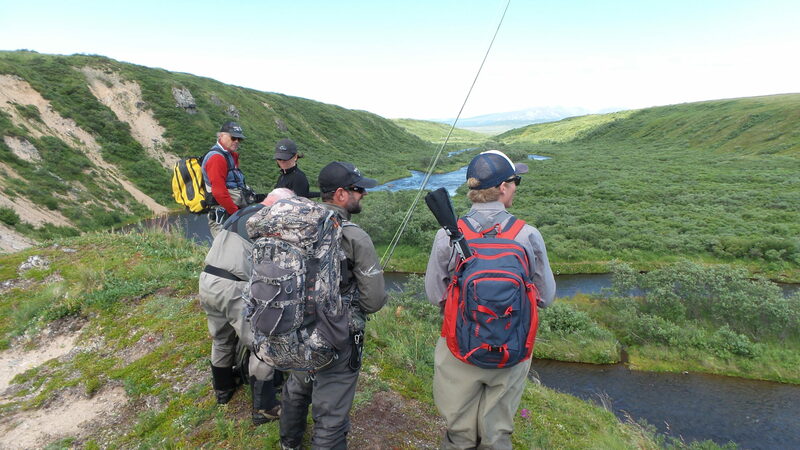 There’s no better place to give in to the lure of fly fishing than the beautiful Kvichak River in Alaska. If you’ve been lucky enough to visit even once, it’s impossible to imagine never going back. If you haven’t had the pleasure, now you understand what the buzz is all about. Don’t ignore those signs. Let No See Um help plan your Alaskan adventure of a lifetime, and then you can go back to counting sheep.